Channel letters are a popular choice for businesses these days. They offer a great way to get your name or message noticed and come with a wide range of options. 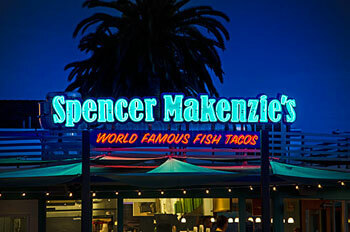 However, these versatile letters are not just for attracting customers to your place of business or franchises. In fact, interior channel letter signs have many benefits. Let’s explore some of the things they have to offer. A channel letter is designed to stand out from the background. This gives letters depth, and your signage has a third dimension. By making signs stand out, you can present a dramatic effect that easily attracts the reader’s attention. Not only that, when you add lighting to this effect, it’s even more dramatic. With Dave’s Sign’s, you have a world of options for your interior channel letter signs. For instance, the TOXIC Footwear is a unique shop in Ventura’s Pacific View Mall. Notice how the 3D letters are all joined by what appears to be an electrifying current? It’s done by cutting the channel letters and inserting neon lights through the middle and behind each letter to give it glowing illumination. This is not only unique; it’s a work of art. If you go inside the Fuel Depot gas station, you know where to get the beer. There’s no looking around the store, and this is an important feature for new and regular customers. New customers feel instantly at ease because there is no searching and regulars receive a sense of security from the well-designed interior channel letter signs. Explore the world of professionally designed interior channel letter signs today. Call Dave’s Signs at (805) 641-1387 to discuss your signage needs for the present and future.